We picture the beam flying with unimaginable trueness, at speeds that can be literally blinding. Well, that’s true. The laser beam blasts forward according to where it’s calibrated to go. Wherever it’s set, the beam goes there. But what if the electronics tell the beam to go a quarter inch to the right or too high? That results in inaccurate measurements. Yet you spent the money for a laser level! What’s happening here is a miscalibrated laser level. Whether you’re a contractor or a do-it-yourselfer, you’re probably aware of what calibration is and how it’s important. Yet, some people fall into some misconceptions about leveling. Some people believe that if a laser level comes from the store pre-calibrated you don’t need to work on it. Another myth is that once you get a level calibrated, it will stay right there exactly forever. Even if you have the best laser level money can buy, that’s not the case. However, the trip home from the store could possible rub the calibration off just a wee bit. Also, there’s at least a chance it wasn’t done with perfect precision or hasn’t kept the calibration. If you’re having a unit shipped to you, you shouldn’t count on great calibration and should manually do it before use. If you’re talking about re-calibrating after your level was initially calibrated, it’s absolutely a must. This is how you calibrate a laser level! You may decide to re calibrate the laser level if it was dropped or kicked, or allowed to get wet. After transporting the unit, particularly over dirt roads or roads with chuck holes, you may be a good candidate for a new calibration. Now, it’s possible to go in to a professional and have them do this for you. However, this guide is for folks who’d like to do it on their own. When you’re ready to take the plunge and get into some serious calibration, having the level level is of the utmost importance. Whereas just eye-balling a surface to determine it’s flat and then proceeding to put the tool on it can work, it’s best to go with a tripod. Now, one thing to keep in mind is that tripods are necessary for the work, so you actually wouldn’t be buying one just for calibrating the laser level. Most tripods are made of aluminum, while others integrate materials such as fiberglass or wood. It’s easy to purchase one for under $50, but if one of the higher-end tripods suits you, you may be looking at about $120. Set the level on the tripod, about 30-40 feet from a wall. The wall behind you should be more than one foot away. Most models have X and Y coordinates. With such a model, aim the X coordinate at the far wall. Activate the beam. Use a pencil to make a light line where the beam has struck. Turn the laser around—this will be a 180 degree turn. It will now be facing the wall very near you. Shoot the beam and mark where it strikes. Now take the laser to one foot from the first wall (in step 2). Adjust it to that the beam will hit the mark you initially made on this wall. You now have the mark you made the first time and the line coming from the laser. If the two match, you’re done. Your laser level is calibrated! If not, measure the difference, with a tape measure or other device, between the first mark and the laser line. Look at the difference. Your unit came with a specified difference that is acceptable, such as 1/8 inch. If the difference is within this acceptable range, you’re all right. Your laser level is calibrated. However, if it is out, you’ll need to re calibrate the laser level. You’re now going to want to do the same thing with the Y axis: a mark one each opposite wall, then a laser line, then the calculation of the difference. You’ll have to re calibrate the laser level at this point. So, once you’ve found it necessary to find the calibration of your rotary laser level, say you’ve determined that it isn’t where it needs to be. Getting it back to proper calibration is called re-calibration. Even if you haven’t banged up or dropped the level, you should re-calibrate every six months. Various levels come differently, some with self-calibration and some manual. Now manual calibration might sound time-consuming and just awful, but it really isn’t. Your unit comes with calibration screws on the metal plate below the main body of the unit with the display. Little screws that don’t seem to count for much are actually calibration screws, one for each axis. Now, there may be a cover over the screws, and may not be. With a cover, use a flathead screwdriver, about 1/8 inch diameter, to remove the cover. Once you get to the x- axis screw, use the same small screwdriver, or even a nail. If the laser line was higher than the marked line, turn the screw clockwise. If it was lower, turn in counterclockwise. Please note that it can be the case that the display will actually give you an up or down arrow. Now, many laser levels have a safe-calibration mode. We want to caution you, though, this doesn’t mean that the level just stays properly calibrated all the time. It just means you’re doing your re-calibration, after going through all the calibration steps, above. In the self-calibrating mode, you can efficiently recalibrate the level. 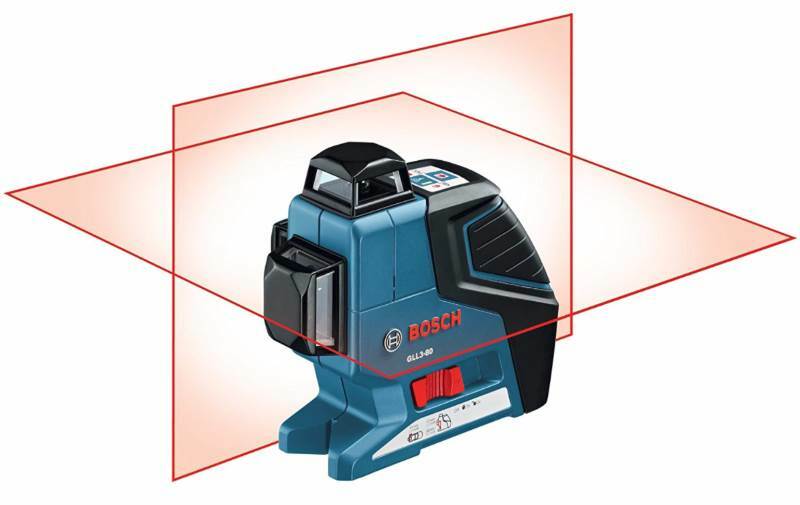 Turn off the rotary laser level and press the power and manual buttons simultaneously. Release only the power button, keeping the manual button pressed; hold it in its pressed position for 10 seconds. Release the manual button. This will send the unit into the self-calibration mode. Now, make use of the unit’s remote control. Press the ‘X/Y’ button to select the X axis calibration. Orient the level to the wall. You are aiming it at the marks you’ve made. Using the remote’s “Up/Down” arrow button, navigate the beam so it’s precisely halfway between the two marked lines. Press the ‘enter’ button to get the level re-calibrated. Now repeat the process for the ‘Y’ axis. One final note is that there are some rotary laser levels that come with a different type of mechanism for self-re-calibration. This would be a pendulum-system, which is found in rotating lasers and dot lasers. In this case, the pendulum is mounted on a gimbal assembly. The pendulum floats freely, thus achieving the self-leveling. You can check the manual of your rotary laser level to see if it has this mechanism. Alternately, one way of telling is that levels with these mechanisms have locking nobs to protect them during travel. Calibrating and re-calibrating your rotary laser level is an important manner. There’s no reason to go through the effort to get laser readings if your calibration is off. Therefore, one has to keep in mind that when it’s time to recalibrate, that means it’s really time. Also, you have to not just blow off bumps and bruises that may have happened to your level. When that occurs, you should at least check he level to see if it’s in correct calibration. As we showed above, it’s not a time-consuming process at all. We admit, it can play out as a brief interruption to what you’d like to be getting done, but it’s really not a big deal. A lot of the information we’ve given shows that the steps are simple and relatively quick. If you have a partner to help you out, so much the better. In closing, if you feel that a unit that comes with a self-calibration feature would be a huge relief to you, you should place that as a high priority.